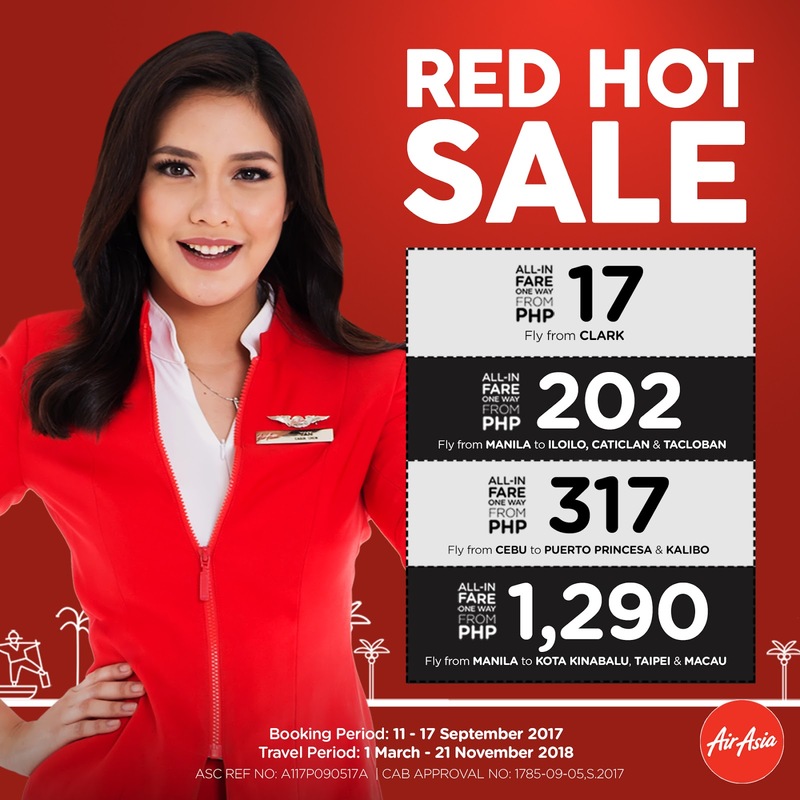 The Food Alphabet and More: AirAsia’s Red Hot Sale is back, fly from as low as P17! AAP operates a fleet of 17 aircraft with domestic and international flights out of hubs in Manila, Cebu and Kalibo. The airline operates several flights to/from Manila, Davao, Cebu, Kalibo, Caticlan(Boracay), Tacloban, Tagbilaran (Bohol), Puerto Princesa (Palawan), Clark and Iloilo in the Philippines with international flights to/from Shanghai, Taipei, Incheon (Seoul), Hong Kong, Macau, Kuala Lumpur, Kota Kinabalu, Canton/Guangzhou and Singapore.